It’s the end of the year and giving is at an all-time high. With the holidays bringing together our friends and family, we’re often reminded of those less fortunate and giving back to the community by donating or volunteering can help us feel more connected with one another. For some, volunteering is a personal experience—but I find that it is so much better to volunteer in small groups. Whether it’s getting a group of colleagues, friends, or family together, volunteering as a group not only brings your group closer, but it maximizes the impact that you can have on an organization. Many non-profits welcome small and medium-sized groups, but it’s always important to ensure that you’re fulfilling a need that the organization truly has. The best way to do this is to ask! Ask the non-profit what their greatest need is, or what project they need help with the most urgently. If a non-profit is close to your heart but doesn’t have a structure for group volunteering, don’t push it—there’s nothing worse than spending a few hours of your time and realizing that the work you’re doing isn’t impactful for the people or organization you’re trying to help. Rather, volunteer elsewhere as a group and then volunteer individually (or financially) at another time with your favorite organization. There are great organizations, such as the Hands On Network, that can help you find volunteer opportunities in your area. 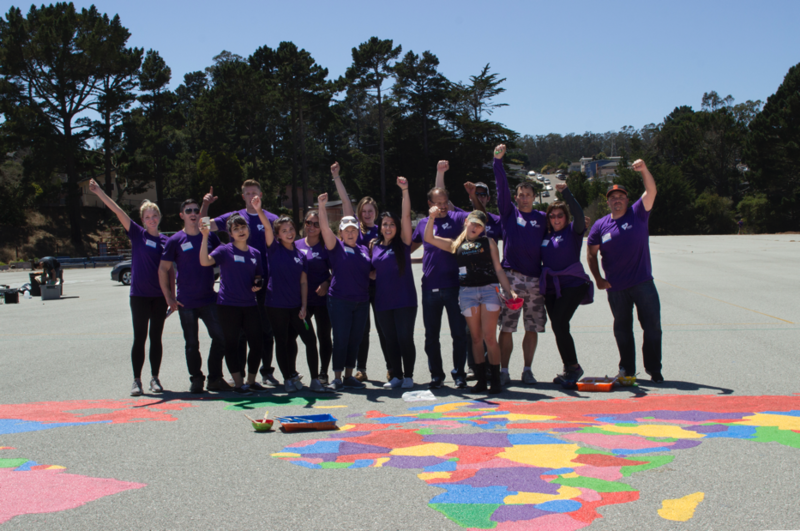 Team volunteering is big at Marketo; we have large-scale volunteer projects every summer for our Global Volunteer Month and at all of our company-wide meetings. Our employees have also created smaller groups that regularly take the time to get out into the community. Some of our teams enjoy volunteering at local food banks, renovating non-profit spaces and cleaning up outdoors, working directly with kids, and creating art and science kits for local schools. While there are many ways to volunteer, one of my absolute favorites (and the way I like to volunteer) is through skill-based volunteerism. We have so many skills that we use every day in our careers that non-profits, students, and people everywhere are hungry for. 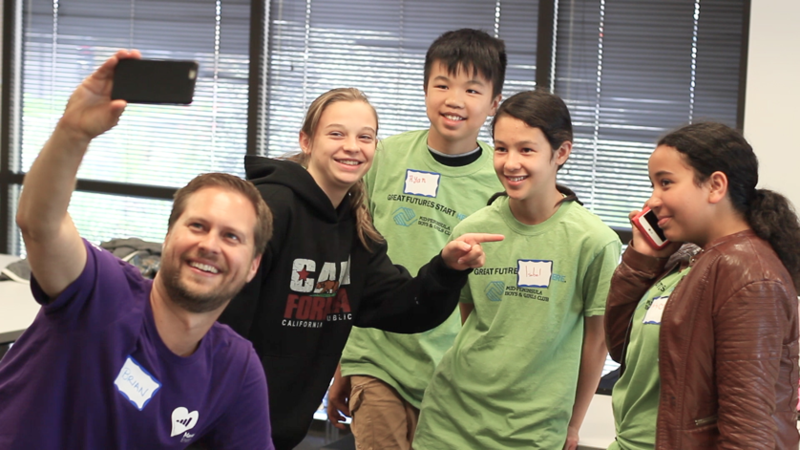 At Marketo, we focus a lot of our time on skill-based volunteering. As most of our initiatives focus on working with students from under-served schools, we host workshops of all sorts for different ages. Whether it’s a workshop to teach students how to build a resume and interview effectively, introduce marketing and business principles, or offer functional skills like accounting, finance, or legal–we strive to share the skills that we use every day. If you’re volunteering individually, you can work with your favorite non-profit to see what kind of skill based-work they might be in need of. If you don’t have somewhere in mind, you can check out Volunteer Match and search for the skill you’d like to teach. The great part is that you can make skill-based volunteering a ongoing or one-off activity, depending on what works with your schedule. 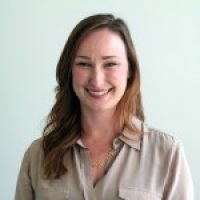 While many companies are investing in corporate social impact programs, that doesn’t mean you need to wait around if your company isn’t there yet. Start one of your own! The best programs start at the grassroots level; this starts with someone, or a small committee, taking the lead to kick off regular volunteer or fundraising opportunities. 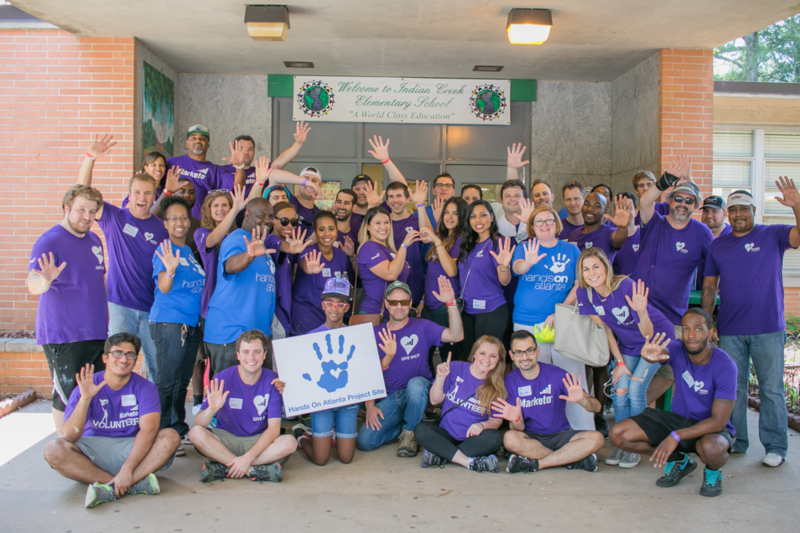 Something that we’ve seen work well is to initiate something the whole company can get behind–for instance, a day or week dedicated to volunteering. Encourage everyone to give back on their own or with the group–and while this can be a lot of work, there are organizations that are here to help, such as the Hands On Network, which can help create the events for you. Even if you don’t have budget for it, you can find local opportunities to volunteer and rally your colleagues to join for a day out of the office. You’d be surprised at how much momentum this can create. 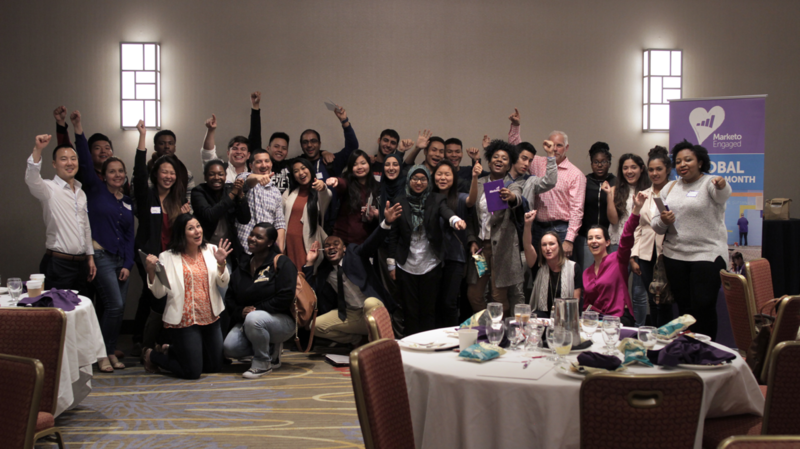 Just over a year ago, we created Marketo Engaged, an initiative that seeks to inspire and support first-generation college students on their journeys to and through college and into their careers. The programs that we have created to support this effort span employee volunteerism, product donation, local grant making, and student success initiatives where we connect with students directly. To learn more about the program or how to get more information on how to build a program at your company, send us an email engaged@marketo.com! I hope that these ideas have inspired you to extend your giving throughout the year and make an impact in your community. I’m already dreaming about the ways I’ll give back in 2017! What are some of your ideas? I’d love to hear in the comments below.